Looking for a blissful night’s sleep? Your search ends when you stay at the standard room with one double bed. 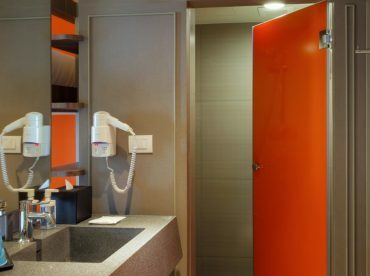 Sink into the renowned comfort of the ibis SweetBed and wake up utterly refreshed. The 28 sqm. room is smartly designed to fulfill your needs. Add additional comfort to your stay with the in-room delivery service! Just scan the individual QR code tentcard in each room and place your order. Choose your dish from our menu, available in 5 languages (English, Thai, French, Korean and Chinese). The service is available daily from 10:00 am – 10:30 pm.